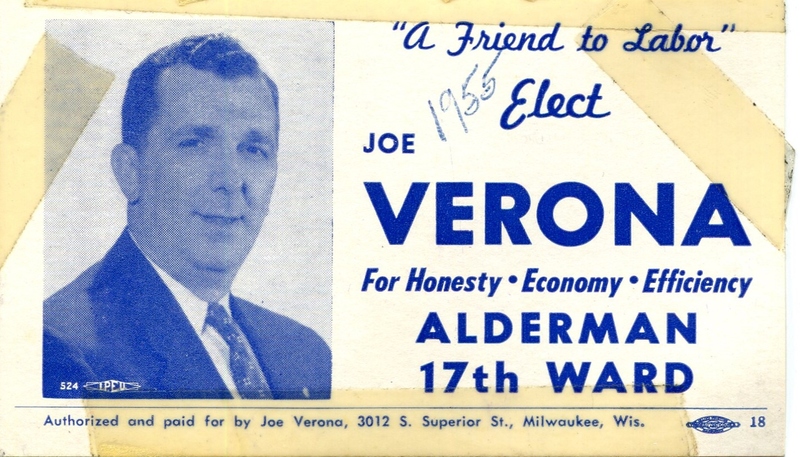 Mr. Verona always loved politics. He was a registered Democrat but had several Republican tendencies. He was one of the dying breed of Conservative Democrats. He ran several campaigns including that of Police Chief in a small Wisconsin town, Portage, WI. None of those attempts were succesful. He was well placed politically within the Milwaukee community. Some of his best dining car stories was when he was aboard Harry Truman's Campaign trains of 1948. This card was his campaign handout.